I think that Null may have been attempting a little sarcastic illustration hmm bellslapper? Yes, we'll you've just proved the value of having an award - to stop employers arbitrarily deciding that their assessment of a fair minimum wage is superior to that determined by the Goverment. It really doesn't matter whether you think it's unrealistic to pay the award or not. Don't pay it and you expose yourself to legal action - simple. Still yet to see a cogent and sensible argument as to why all employers shouldn't abide by the law. Hugh Bosh wrote: Still yet to see a cogent and sensible argument as to why all employers shouldn't abide by the law. I don't think I heard anyone saying that employers shouldn't abide by the law HB. Who was it that said that? Right . So there's no need for the debate then because every operator will abide by the law? If the practice is ongoing it's for one of two reasons; 1 - they are ignorant of their obligations or 2 - they know about the law but choose not to obey it. So far I've not seen any posts on here where somebody said "gee, I didn't know that I had to pay the award , thanks for letting me know". Therefore there must be quite a few who fall into the second category. Hugh Bosh wrote: Right . So there's no need for the debate then because every operator will abide by the law? I have to go with both above are correct, but as I said in another thread with digital and printed media that is around today there should be less employees and employers who don’t realise this, especially after there are companies being chased with FWO and the industry isnt that big that you can hide, which is great news that means there will be a culture change towards employees and how they are treated. Sorry guys, I still disagree with a few of your points. I'm going to step out of the discussion though as it's probably not constructive for us to continue disagreeing with each other. As a new immigrant and Australian citizen, back in 2005, my first job I was employed as a car mechanic, based on my Aircraft Mechanics Licence. I worked on anything that came through the door, including a race car. My employer, an Italian-Calabrese, cheated me on my pay every week. I put in a lot of over-time. I did not receive it. Then whilst working on a Holden V8 Engine Block, I nearly lost the tip of my left middle finger, when the crankshaft suddenly gave way when my hand and fore arm were reaching down a cylinder to guide the crankshaft. The owner did not use a proper Engine stand. There was none available, though I had asked. I drove myself to a public hospital, with my left hand wrapped in a shop rag. Blood everywhere. The hospital staff wanted to remove the tip of my finger, as it the bone was broken and fingernail was broken, it was dangling by a thread of bloody flesh. I refused, asked for antibiotics, betadine and bandage and took care of it myself. It reattached and came good. There is almost no evidence that the tip was severed. I got lucky. The owner begged me not to file a Workman's Compensation Claim. I obliged him. About a week or so later, he told me his brother-in-law lost his job at Ford. I asked him, "What does that have to do with me?" He replied, "He is family. And, I owe my sister's husband a job." My employment was terminated. I took the owner of the shop to the Industrial Relations Commission. He was represented by a lawyer from the Motor Trades Association. I represented myself. They concocted a bunch of nonsense and tried to manipulate the Commissioner and told him I had no mechanic's experience and was only hired as an Apprentice. I proved the pair were liars. I showed the Commissioner my Aircraft Mechanic Licence that I have held, since 1993 and other evidence. I was awarded $2,500. The Commissioner asked if I wanted to have someone collect it on my behalf. I took great delight going to the shop to collect my $2,500 compensation. I told the owner of the shop, "You might be able to get away with this type of behaviour in the old country, but you're in Australia, now, mate." The point of this is that there are a lot of genuine bastards and rogues out there and WE HAVE WORKERS RIGHTS GUARANTEED BY LAW and what all of you have discussed above is not just the domain of the Australian helicopter industry. It is Australia-wide, as is all forms of sneaky workplace discrimination. Stand up for what is right. Stand up for yourself. Stand up for what you believe in. It is up to you to change the prevailing culture. If you don't, nobody will do it for you. Watch a show called Ice Pilots NWT. The owners son who remarkably is the general manager says " Just because you have a licence doesn't make you a pilot"
This crap happens everywhere and as CC said it spreads all work places and industries. Everybody would have at least one story of this happening to them. It all comes down to who you know and not what you know. All my personal opinions of course. The harder you work at it the harder it is to give up. If you create a shadow, look at yourself. jetty wrote: Watch a show called Ice Pilots NWT. The owners son who remarkably is the general manager says " Just because you have a licence doesn't make you a pilot"
It looks to me he is not a pilot. Could be another case of his father giving him a job because he is too lazy to get of his backside and do something for himself. Have a read of the bio on him on the website for further info. Once again I wonder how many of you have employed bare licensed pilots, the time it takes to train them in all aspects of being the best helicopter pilot they can be, and be safe and in control. I have seen companies employ low time pilots and give them no guidance, no professional assistance and expect a low time pilot to work it out by themselves. WRONG. It takes most pilots up to 500 hours to be capable. They require constant supervision, guidance, support. As usual pj, you are right. A fresh out of training pilot still needs a lot of work. I've said it before and I'll say it again, if a fresh CPLH holder thinks it is that easy, why not go to the trouble of getting an AOC, arranging all of the insurance, buy a helicopter, find a hangar near where they think all of the work is, go out and win a few contracts and then employ a hand full of his low hour mates on really good wages and then sit back and watch the money roll in. Or out if he's living on this planet. Or in if he's been at it for a few years. A fresh cplh holder has completed the required CASA set syllabus only. That means he can fly a helicopter safely under certain circumstances. He has never done an actual commercial job/task in helicopter. He has never planned a commercial job in a helicopter. He has more than likely never flown off the WAC where his training was based. He has never quoted a commercial job in a helicopter. He has never had to worry about the logistics (fuel availability, landing sites, permissions, overnight parking and accommodation, airspace requirements and not just controlled airspace but restricted or danger areas, of a commercial job in a helicopter). A fresh cplh holder still needs to be introduced to and trained in all of the above and more. And this takes time and money, more often than not, a lot of time and money. How would the average fresh cplh holder like it if his first employer said "Yep, you have got the job. I'll pay you the award or just above it, but for everything I need to teach you on the ground that you don't know or do badly, there will be a $ cost to you. For every flying job you do that you have not done before and I have to go with you to teach you that task/job, there will be a $ cost to you." Would the average fresh clph holder jump to that????????? I wonder. But hey, it's a great idea to have a sometimes unaffordable award so that employers can say "sorry mate, I can't afford to hire you, try somewhere else". Ah, the old award debate. You'd be hard pressed to get a receptionist these days for even the lowest level of our award! Most operators do not want to pay for experience, either, so jobs go to those from out of state and overseas or to a mate of a mate, though with mediocre experience. Kind of a Catch 22, isn't it? Low Hour pilots seldom get a crack, and guys with more experience than most current Chief Pilots, definitely are not considered. 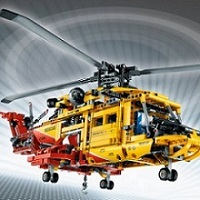 pj wrote: Once again I wonder how many of you have employed bare licensed pilots, the time it takes to train them in all aspects of being the best helicopter pilot they can be, and be safe and in control. Are you suggesting that this somehow means that new pilots should therefore be paid so little that they literally cannot live on the wages they receive? All the guys I trained with have jobs. They've all moved up the ranks are beginning to or have been earning much better wages as a result. Excuse my simplistic approach, but wouldn't it be easy to just enforce an award upon all operators? The result being that the low hour guys get the money they need to realistically survive and some reward for the investment they have made. Across the board, all operators will have to pay the same wages, so to cover these costs they all must increase their charge out rates to the end user to still maintain their profit margins. All operators will be dealing with the same wage costs so makes even competition for work. Then as you gain experience or end users require better pilots they simply get charged more to cover the cost of the better pilots? If a guy then chooses to fly tourists around Cairns with 20,000 hours under his belt, because he isn't doing anything that a bloke with 200 hours can't do, he gets paid the same. If he wants more coin, simply move onto something a little more challenging. This approach seems to work in every other industry, why not aviation. Simply I think that because everyone already here has taken it up the bum to get here, they feel that everyone coming along after them should do the same. I reckon good luck to the next generation, if they can get it a bit easier, then good on em. If you have done the hard yards, then you will have benefits from the experience, but I'm all for improving the conditions of the next guy and helping them to be able to make it in the industry. I've seen many students coming through, and seen the massive sacrifices they make to just get their license, it would be great if we made it easier for them to succeed beyond the flight school. I think it's getting worse, as a result of the attitudes of people coming through the ranks. Yhey ever more willing to work for less. It's easy to abide by the 'I had to do it, so you should too' argument, but of late I've seen low hour guys all coming in with turbine endorsements, nvfr etc. I'm pretty sure that used to be a rare occurrence...? Willing to be corrected if wrong. Jabberwocky wrote: I think it's getting worse, as a result of the attitudes of people coming through the ranks. They ever more willing to work for less. I think that is the biggest part of the problem. If they would show some backbone and refuse to work for a pittance, things would change. Sadly, there are some operators out there who are all too willing to illegally accept free labour. I have employed many pilots and a large percentage of them low and bare hour pilots. I had a tourist business in the Whitsundays. I was only one of a few that paid their pilots a weekly wage, so none of this hourly rate s#!t, i've never had a hangar rat or unpaid pilot. I would teach them to be a "Commercial Pilot". Safe flying, briefings, flight planning, customer service, operations. The stuff training schools don't have time to do, at my expense. The point is that there are many larger companies that could employ low time pilots but couldn't be bothered to put the extra effort in, So if a bare hour pilot can get a job being paid the award. Excellent. They still need someone to guide and mentor them and not leave it up to other companies to support their pilots,( Hello cupcake). or the low time pilot can go and work for no money or a hourly rate , be expected to exceed F&D and weight limitations and teach himself , while the parent company still charges full rate for them. Just because you have a piece of paper that sais Commercial Heli Pilot . in reality they are no where near it.